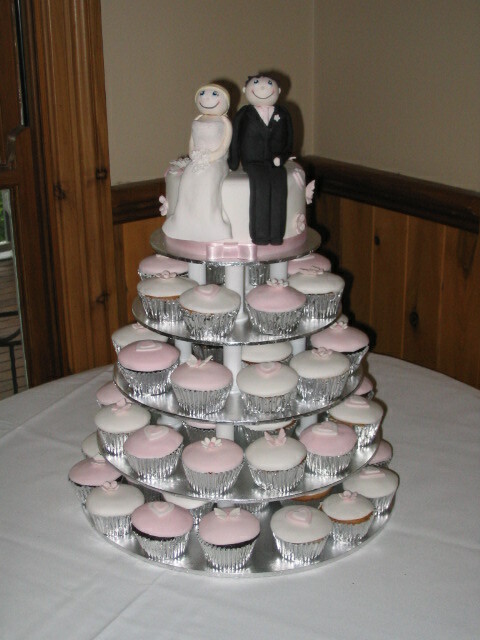 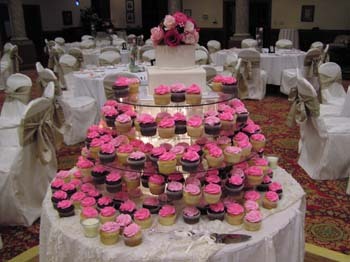 Cupcake towers are a novel idea for weddings that have really taken off in the past few years. 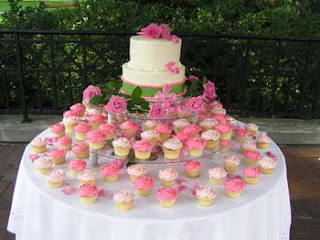 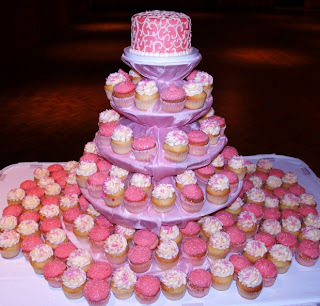 Today let's have a look at different options available when exploring the idea of pink cupcakes for your wedding day. 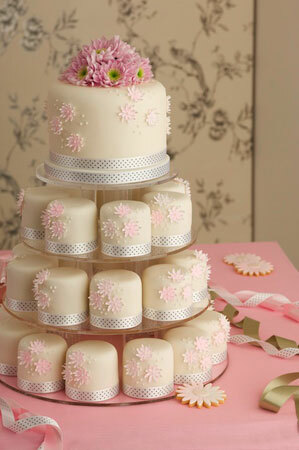 From The Clever Little Cupcake Company in the UK we have this beautiful hot pink cake tower. From A Little Slice of Heaven in Australia comes this simple yet full of impact wedding cupcake tower in hot pink and white. White and pink cupcake tower from Main Street Cupcakes in Ohio, US. 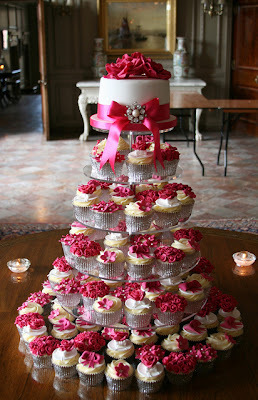 The following amazing pink cupcake towers for wedding comes from The Suffolk Cupcake Company in the UK. 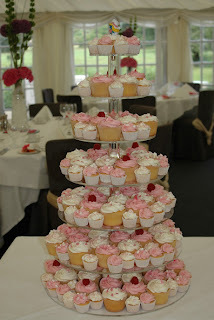 From Maisie Fantaisie in the UK we have Pink Bloom mini cakes. 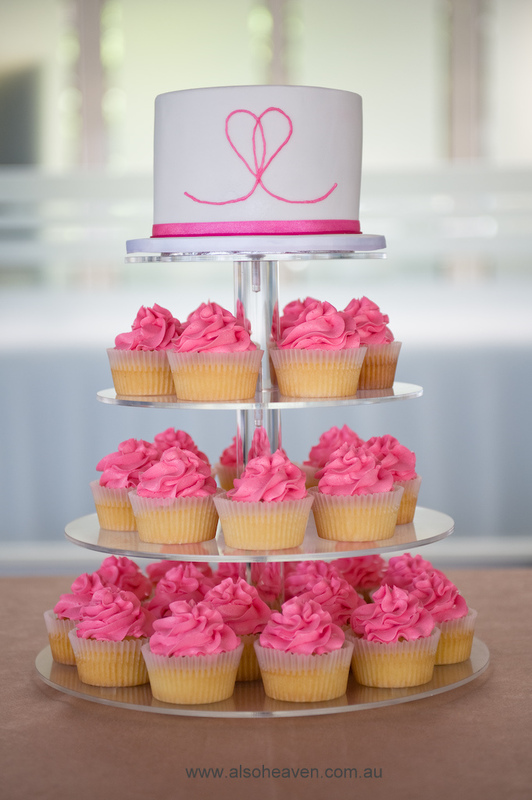 These wonderful pink wedding cupcakes designs comes from Our CupCakery in Dublin, Ohio US. 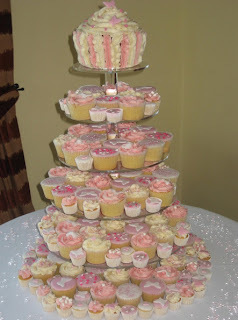 From Heidi's Dream Cakes we find the following two delicate light pink and white wedding cupcake towers.